Researchers from University of Gloucestershire are currently conducting a study to understand some of the main factors, which can affect RaceRunning performance. Despite the growth of RaceRunning on the international para-athletic scene and the sport featuring at the World Para Athletics European Championships in Berlin (2018), there is a scarcity of research about how to improve RaceRunning performance. The team are looking at a range of physiological variables (cardiovascular capacity, joint range of motion, strength and power) and technical factors (foot strike pattern, body position) to see what affects RaceRunning performance. Once it is known, which of these factors contribute the most to RaceRunning speed, coaches can begin to tailor their programmes more specifically so their athletes can work on the most important elements in their training. If you are a RaceRunning athlete who would like to take part, or you would like more information, please contact Dr Nicola Theis (ntheis@glos.ac.uk) or Dan Cowen (dcowen@glos.ac.uk). 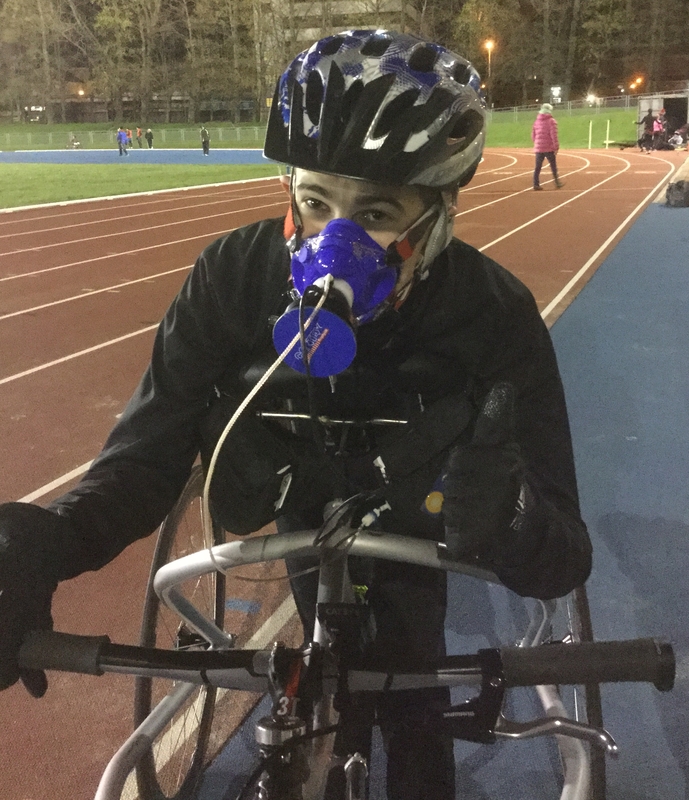 Researchers from Queen Margaret’s University, Edinburgh, University of Gloucestershire and Brunel University, London, were recently awarded an Action Medical Research grant to investigate the feasibility of carrying out a larger study looking at the effects of RaceRunning on the risk of heart disease, type 2 diabetes and mobility in these children moderate-to-severe cerebral palsy. Before starting a large study, it is important to find out if participants enjoy RaceRunning and are therefore likely to complete the study. Cardiometabolic risk factors and mobility will be measured at 12 and 24 weeks and these initial results will help researchers to design a larger, more comprehensive study. If RaceRunning is able to reduce the risk of heart disease and diabetes, this could have a major effect on the health of children with cerebral palsy throughout their lives. Improvements in mobility may also positively affect children’s quality of life and independence. For more information about this grant, please go to: https://www.action.org.uk/our-research/cerebral-palsy-can-regular-exercise-improve-health-and-mobility or contact the research team: Dr Marietta Van Der Linden (MVanDerLinden@qmu.ac.uk) or Dr Nicola Theis (ntheis@glos.ac.uk). Can high-velocity training cause muscle adaption in individuals with cerebral palsy (CP)? The preliminary findings of Tessa Gallinger's Masters thesis indicated that muscle length can increase with high velocity training in individuals with CP. In some subjects there was no change in muscle length, however in those individuals Gallinger saw an optimal shift in the force-length relationship, indicating an increase in sarcomeres in series - the fundamental unit of muscle structure. The article is published in volume 61 of the Gait and Posture journal and is a piece of research that has developed from their work on RaceRunning and the classification of athletes who want to participate in RaceRunning. CPISRA wants to congratulate Dr van der Linden and her team for this success in their current research on RaceRunning. Anyone who wants to read this article can do so by following this link - http://eresearch.qmu.ac.uk/5192/. CPISRA is delighted to communicate this PhD studentship opportunity being offered by Queen Margaret University. 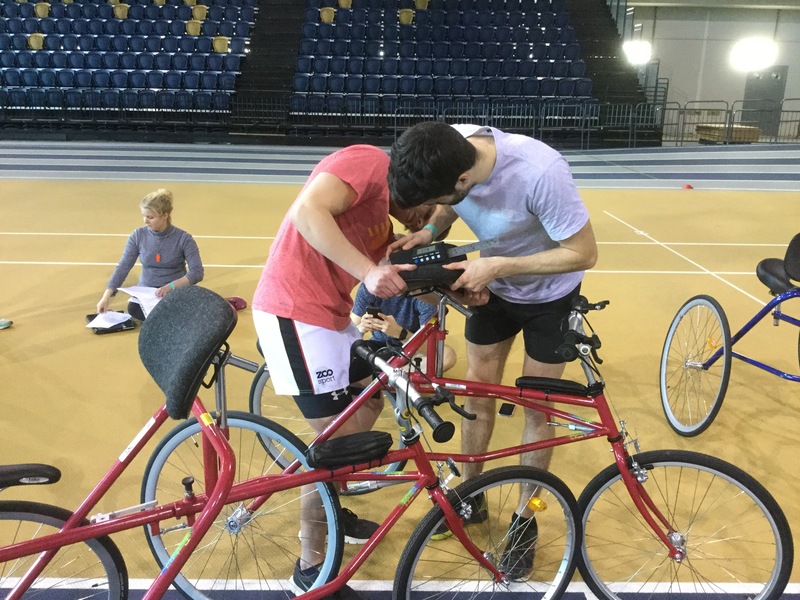 CPISRA has been collaborating with Queen Margaret University in regard to research relating RaceRunning since 2015 and we highly recommend this opportunity. Title of project: Does taking part in RaceRunning improve health and wellbeing? Supervisors: Dr Marietta van der Linden, Dr Pelagia Koufaki and Dr Kavi Jagadamma. Physical inactivity among people with Cerebral Palsy (CP) persists throughout the lifespan and is associated with risk factors for cardio-metabolic disease in people with CP . For young people with CP, with moderate to severe walking impairments, engaging in physical activities which promote cardiorespiratory fitness is challenging and evidence regarding the benefits of exercise or physical activity for this population is lacking . “RaceRunning” [www.racerunning.org] allows those who are unable to walk or move a wheelchair independently, to propel themselves using a “running bike”, with a breastplate for support, handlebars and saddle but no pedals. Currently, the majority of RaceRunning participants are young people with CP who use the bikes as part of physical education sessions, or therapy in special schools, in weekly training sessions on the track, or to participate in leisure activities e.g. family “walks”. Running bikes therefore allow these young people to take part in an aerobic activity, whilst enabling some weight bearing with the potential to improve lower limb muscle function. The overall aim of this proposed PhD project is to explore the feasibility of a longitudinal cohort study investigating whether participation in RaceRunning can improve functional mobility and cardio-metabolic health. Additionally, the benefits of taking part in RaceRunning on psychosocial outcomes such as self-efficacy and self-esteem will be explored. Successful applicants will start in September 2018, and will receive a full waiver of tuition fees, an annual stipend of £14,553 lasting 3 years for full-time study and a research budget of £2,000 to cover project expenses and travel. As part of the bursary contract, the successful applicant will be asked to undertake a number of school duties (such as research and teaching support) for up to 360 hours over the duration of their bursary. Peterson et al. 2015 Chronic conditions in adults with cerebral palsy JAMA 314(21)2303-5. Ryan et al. 2017 Exercise interventions for cerebral palsy. Cochrane Database of Systematic Reviews CD011660. Entry requirements: Applicants must have a first degree in a discipline / field of study relevant to one of CHEAR’s research sub-themes (Physical Activity and Exercise Rehabilitation; Musculoskeletal and Orthopaedic Rehabilitation) and will be expected to complete the PhD programme on a full-time basis. The academic requirements are at least an upper second class honours degree from a UK university, or an equivalent standard from an overseas university, and ideally a Masters degree in a relevant subject. CPISRA is extending its activity to facilitating and promoting research into exercise and sport for CP and related conditions. There are a number of reasons for doing this, including benefiting individual sports through improved techniques, training, sports equipment and impairment classification. A further key reason is research will enhance understanding and therefore assist health professionals, sporting bodies, etc. to further encourage recreation and sport development. 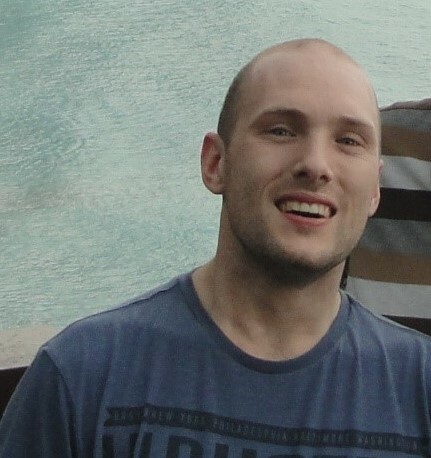 Graham Condie, CPISRA Research Officer, will over the coming months write a series of articles relating to understanding and recognising CP participation in sport, recreation and exercise. Each article will be published below. The articles will be detailed and research based with an accompanied summary. We intend the articles to provide research based information and observations that maybe referenced by Members. For example, CPISRA plans to develop a CP Awareness course utilising information from the completed series of articles. 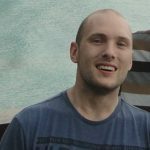 Please find below Graham’s articles published so far. To read click on the article name. If you have any comments or questions please contact Graham at graham.condie@cpisra.org . In collating and listing the below reference information relating to research into CP sport, recreation and exercise we are seeking to assist researchers in background research, raise awareness of research, encourage research networks, monitor research activity and help identify further research needs. For inquiries please you contact Graham Condie at graham.condie@cpisra.org . Within each section below are listed relevant academic research papers for which we are currently aware. If you know of further paper/s we would very much appreciate you contacting Graham Condie at graham.condie@cpisra.org . Within each section below are listed universities conducting related research for which we are currently aware. If you know of further universities we would very much appreciate you contacting Graham Condie at graham.condie@cpisra.org . Within each section below are research projects that CPISRA feels would be of particularly interest to its members and community. If you know of further projects you believe would be if interest to CPISRA we would very much appreciate you contacting Graham Condie at graham.condie@cpisra.org . Within each section below are listed researchers conducting research of particular interest to CPISRA and our community. Each researcher has been invited by CPISRA to be listed. 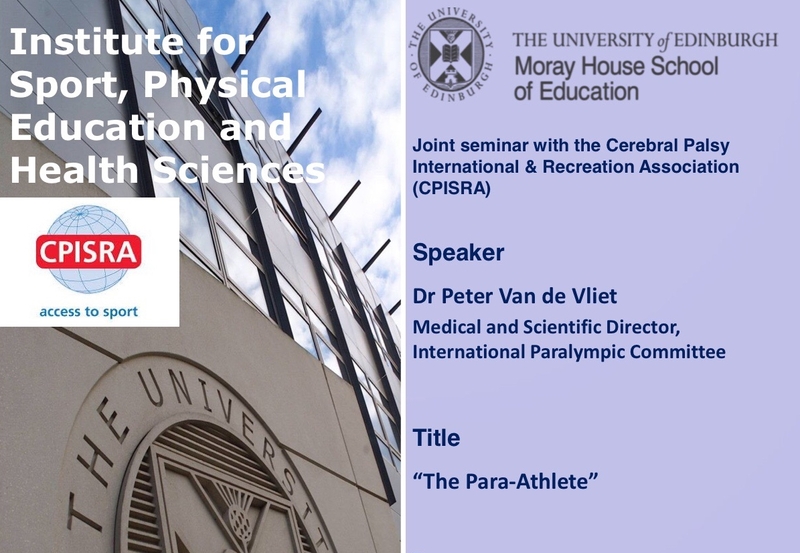 Click The ParaAthlete – CP Emphasis to watch the Dr. Peter Van de Vliet, IPC Medical and Science Director, talk given at the below joint Edinburgh University and CPISRA seminar. 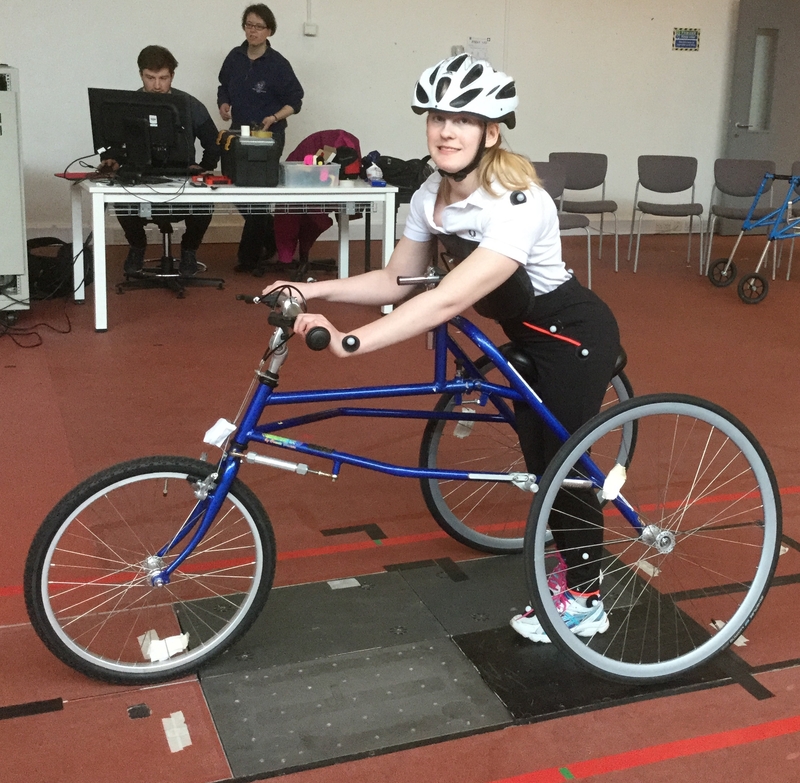 Edinburgh University and Queen Margaret University both located in Edinburgh, Scotland have commenced research projects into RaceRunning in partnership with CPISRA. 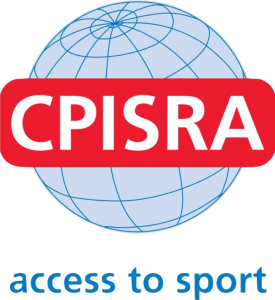 These projects have two strategic roles, the first being to address the research required by the IPC in evaluating RaceRunning as a future IPC athletics event and the second to be a catalyst for CPISRA facilitating research into CP exercise and sport.